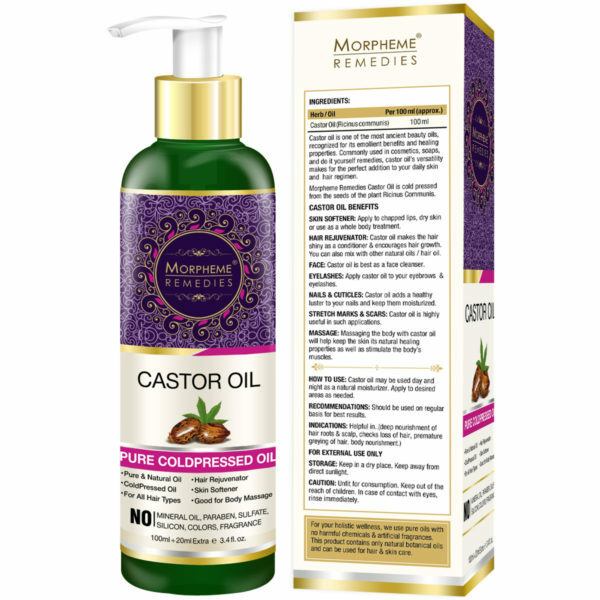 Morpheme Remedies Pure Cold Pressed Castor Oil is a wonderful multi-tasking product that is prepared by cold pressing the carefully selected seeds of castor plants grown in verdant soil. Cold pressed castor oil is considered to be superior to other types of castor oil such as black castor oil, hydrogenated castor oil, and castor oil granules because it helps preserve higher concentration of nutrients. This precious oil helps to strengthen the hair shaft, hydrate the skin, nourish the hair roots and provide soft and lustrous hair. It nourishes the skin, eyelashes, eyebrows, body, and nails to give a moistened and elegant look. Morpheme Pure Castor Oil is 100% Natural, Pure and High-Quality Cold pressed Oil that is extracted from the seeds of the plant Ricinus Communis. With extra-ordinary moisturizing and nourishing properties, it showers its multiple benefits right from the head to toe. It is known to strengthen the hair, minimize aging features, moisten the body, thicken eyelashes and nourish the nails. If a person really wants a Natural Oil that cares the entire body, this Morpheme Pure Castor Oil can be the right choice. 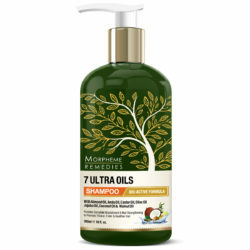 It is free from mineral oil and parabens that are hazardous to humans. 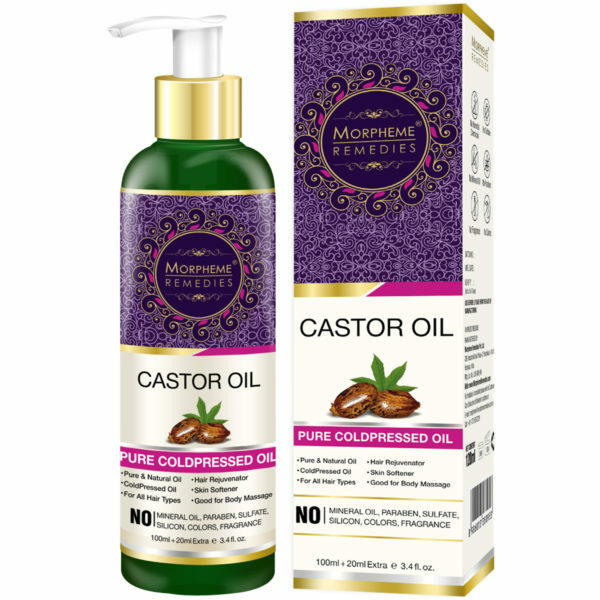 Morpheme Pure Cold pressed Castor Oil is 100% Natural, Pure and Premium Quality Oil. Extracted through a cold pressed technique that does not use excessive heat or other chemicals, instead use only the natural pressing methods. Further, it helps preserve the greatest concentration of nutrients. 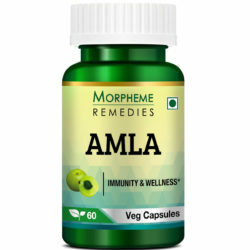 Helps strengthen the hair and nourish the hair roots. It too helps restore the lost nutrients, promote hair growth and increase hair thickness. It gives healthy luster and moisture to the nails.No additives. 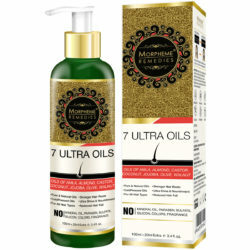 No Paraben, No Mineral Oil. I HAVE DRY SKIN. CAN I USE THIS CASTOR OIL? The antioxidants present in this Morpheme Pure Cold pressed castor oil has good moisturizing and hydrating properties that help smoothen the dry skin and give a super-soft look. Though castor oil is known for a number of benefits, I primarily apply it on my scalp. It has been just 3 weeks since I am using this product and already I am noticing new hair growing. I am applying castor oil to my eyebrows and eyelashes. They are slowly becoming thicker. This shows that this castor oil is of good quality. Castor oil is very good for hair growth. I am putting this on my scalp. The result has satisfied me. Very good quality pure castor oil. Appropriate for skin and hair care. After I started applying this castor oil to my scalp I realized that castor oil is indeed great for hair growth. This is premium quality oil. This is a superior quality castor oil. Applied it to my skin. It is helping in making the skin smooth and elastic. This is good quality pure castor oil. It is good for hair growth. I am applying it to my sparse eyebrows that have become thin following excessive plucking. They are slowly becoming thicker and darker. I use castor oil as a skin cleanser. It removes the deep seated dirt and keeps the skin smooth. The quality of this castor oil is excellent. The quality of this castor oil is excellent. My hair is growing faster after applying it. Castor oil is working wonders for my hair. It has helped in stimulating hair growth. My hair is gradually becoming thicker and beautiful. This is good quality castor oil. 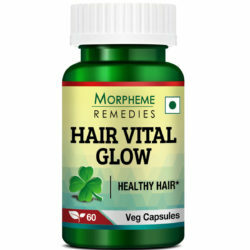 It is helping in faster hair growth. This is a good quality castor oil. I use it for both skin and hair care. It has helped in giving the skin a smoother and softer appearance. It has promoted hair growth. This is top grade castor oil. It is helping in hair re-growth. I apply castor oil to my eye lashes. They are slowly becoming thicker. Good quality oil. It is helping in hair growth. Good quality castor oil. I’m applying castor oil for over a month to thicken my scanty eyebrows. It is helping. I’m noticing hair re-growth. Castor oil is helping in tightening my skin and erasing the fine lines. The quality of this oil is excellent. This is good castor oil. I use this for skin care. My skin feels soft. It is helping in reducing appearance of fine lines. Castor oil helped in arresting excess hair loss. I’m using it for 4 weeks. Excellent quality! Using castor oil for a month. It is helping in hair regrowth. I am using castor oil for skin care. It is a good cleanser and keeps the skin supple. This castor oil is of superior quality. It is helping in thickening my eyebrows. I’m applying castor oil on my eyelashes for over 2 months. It helped in making the lashes a little more thicker and longer. This is good quality castor oil. Great for both skin and hair. I use it as cleanser. It keeps the skin supple. It’s helping in hair growth. This castor oil is good for hair health. It helped in stimulating hair growth. I apply it frequently and leave it overnight on the scalp. My eyebrows became sparse following excessive plucking. After I started applying castor oil, they hair is slowly re-growing. Good quality castor oil! I’m using castor oil for a month. The quality of the castor oil is really good. It is promoting new hair growth. Castor oil helped stimulate re-growth of my eyebrow hair. I am happy with the result. This is cold pressed castor oil. It is of good quality. I am using it primarily for skin care. This castor oil is working well for my skin. 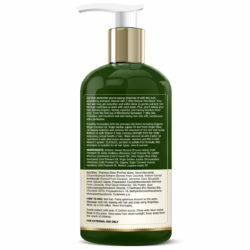 It works as a good natural cleanser, rinses off easily and leaves the skin supple and hydrated. The quality of this castor oil is really good. I’m using it on my skin for 2 weeks. It helped make my skin supple and radiant. Castor oil is helping in hair growth. Using it for 2 months. Castor oil is good for skin care. It is an excellent makeup remover. Keeps skin supple. Apply castor oil to my scalp. My hair is slowly becoming thicker. Am using this for 2 months. Excellent quality castor oil. I use castor oil before going to bed. It removes all traces of makeup and dirt and leaves the skin hydrated. My skin looks healthier by using castor oil daily. Applying castor oil on scalp. It seems to be helping in hair growth. This castor oil is a good cleanser. I use a small amount to remove makeup and dirt. It keeps skin hydrated and smooth. Castor oil is helping in thickening my hair. Great product. This castor oil is helping in hair re-growth. My hair is slowly becoming thicker. Castor oil helped improve my skin. Excellent quality oil. This is a great product.Using this castor oil for a month. It is really good for the skin and hair. Used this on skin and hair. It is good for both. Helped improve hair growth. Leaves skin soft and elastic. I use this on my lashes and hair. It works slowly, yet noticing good result. This is cold pressed castor oil. A high grade product. I use this on my skin as makeup remover and cleanser. It leaves skin clean, firm and soft. Works good on my dry skin. Using castor oil on eyebrows, eyelashes and hair. This is quality product that works. Using this on hair. Absorbs well into the scalp. Keeps hair healthy. Using castor oil on hair, eyebrows and eyelashes. Good quality oil. Castor oil is helping in hair growth. My hair stays soft. This is very good quality oil. Applying this castor oil on eyelashes. Good quality oil. Just started using this castor oil. It is too early to notice result. The oil is of the right consistency. Seems to be of very good quality. This is great for hair growth. I use this as hair mask. Hair stays hydrated. Castor oil is helping in making my hair thick and strong. Using this for a few months. This oil works well on my dry scalp and hair. Helps hair growth. Using this castor oil for over a month. It is helping in hair regrowth. A trustworthy product. Using castor oil as hair oil and also applying on eyelashes. The oil no doubt is of good quality. This castor oil is very good for the skin. It is excellent makeup remover. Keeps skin hydrated and adds natural glow. Good quality castor oil. It is helping in hair re-growth. I use castor oil as makeup remover and facial cleanser. The oil absorbs well into the skin and easily loosens dirt, grease and makeup residues. It keeps skin soft and supple. 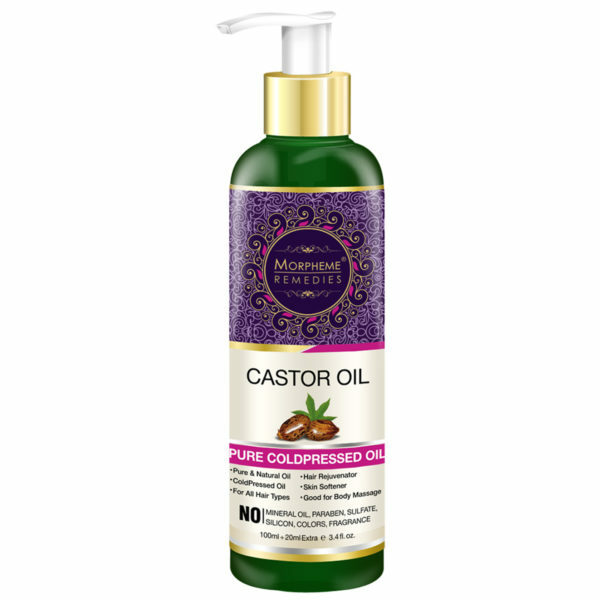 Directions: Castor oil may be used day and night as a natural moisturizer. Apply to desired areas as needed. Skin Softener: Apply to chapped lips, dry skin or use as a whole body treatment. Hair Rejuvenator: Castor oil makes the hair shiny as a conditioner & encourages hair growth. You can also mix with other natural oils / hair oil. Face: Castor oil is best as a face cleanser. Eyelashes: Apple castor oil to your eyebrows & eyelashes. Nails & Cuticles: Castor oil adds a healthy luster to your nails and keep them moisturized.Stretch Marks & Scars: Castor oil is highly useful in such applications. Massage: Massaging the body with castor oil will help keep the skin its natural healing properties as well as stimulate the body’s muscles. Take some castor oil and apply it generously on desired areas. It can be used as a Day and Night moisturizer. It helps in softening the skin, reducing wrinkles, rejuvenating new hair cells, thickening eyelashes and removing stretch marks. Skin Softener: Apply it on dry skin, lips or whole body to moisturize. Hair Rejuvenator: Mix it with some natural hair oils and apply it on your scalp and hair to get shiny and conditioned hair. Face: Castor oil act as a face cleanser. Apply it on eyelashes only at their roots. Be careful to avoid poking your eyes. Nails and Cuticles: Apply castor oil on your nails and get a lustrous nail. Massage: Use it as massage oil for your entire body to keep your skin naturally moistened and stimulate your body muscles.